Rethink backup. Business continuity keeps your business going in the event of disaster. Besides security, data backup and business continuity are at the top of list of things that keep business owners up at night. A recent study found that 40% of small businesses indicated that they would likely go out of business if they lost all their data. Needless to say, data backup is a critical component in the scope of technology ownership. While we offer three levels of backup solutions to meet your needs, our most advanced solution gives you peace of mind with a layer of business continuity to keep your business running should disaster strike. All of your organization’s data is stored on a local appliance for quick backup and restoration. For an added layer of protection, a copy of your data is securely stored in an offsite data center. Should your organization experience a server outage, we can quickly virtualize your server to the local appliance or even to the cloud. This keeps your business running to avoid loss of productivity. Besides hardware failure, events like fire, theft and natural disasters can occur. Rest assured, should disaster strike, we can recover with cloud continuity and bare metal restore capabilities using your offsite data. We offer data backup and disaster recovery solutions that can assist you with meeting regulatory compliance requirements that span across multiple industries including legal, health care, and financial services. Although there are many tools available to automate processes, data backup is not one that a “set it and forget it“ approach should be taken. We continuously monitor data backup to ensure success. Backup is just one step of the overall data backup process. Verification that backups can actually be successfully restored should disaster strike is the most critical step that gives you peace of mind. When it comes to your organization’s data, security should be of top concern. 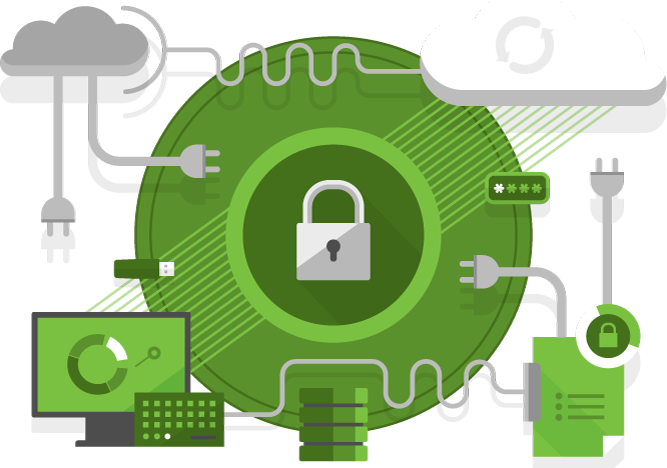 We protect your data, both in transit and in our data center, using AES, the government standard for data encryption. To ensure business continuity, it may be critical to provide disaster recovery for key laptops and workstations in your organization. This takes business continuity to a new level protecting all platforms.